BLACK CARBON, a pollutant emitted due to incomplete combustion of fossil fuels, biofuel and biomass, is blanketing the atmosphere above the Brahmaputra Valley in two layers. Usually there is just one layer of the pollutant. The valley has been experiencing change in local climate, ostensibly because of the double layers of black carbon. Surface temperature increased at the rate of 0.03 kelvin per year (1 kelvin equals -272ºC) from 1980 to 2005, and precipitation has been increasing at the rate of 4 mm per year. Black carbon is an aerosol pollutantÃ”Ã‡Ãªwhich does two very different things in the earth’s atmosphere. It reduces the amount of sunlight that reaches the earth’s surface by absorbing and scattering light. But it also absorbs heat and radiates it back to the earth, causing atmospheric warming. During an experiment headed by the Indian Institute of Tropical Meteorology, black carbon levels were measured above Guwahati (the largest city in the Brahmaputra Valley) from an aircraft for three days in August and September 2009. The data showed something anomalous and interesting. Usually, black carbon levels are found to increase in the layer of air closest to the earth’s surface (called the boundary layer). The extent of this layer differs as per local conditions. Above the boundary layer, black carbon levels are usually steady, or drop until a height of 3 km to 3.5 km. 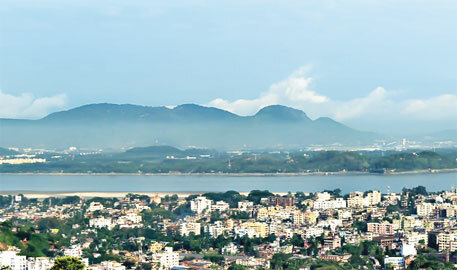 But, above Guwahati, a second layer was found, 5 km to 6 km from the surface. “Due to this second layer, an additional heating of around 2 K/day is reported to occur at 5 km to 6 km in the atmosphere over Brahmaputra Valley resulting in a doubling of the radiative heating in 2009,” says lead author of the study Rahul P R C, scientist with the Indian Institute of Tropical Meteorology.“The second layer is forming probably because of the largescale monsoon circulation winds that transport black carbon up to 5-6 km,” he adds. The study was published in Scientific Reports on January 14.